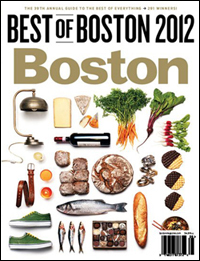 Boston Magazine’s much anticipated Best of Boston 2012 issue is out and The Harvard COOP has been named the BEST Bookstore in Boston and the surrounding Boston area. The Harvard COOP was one of 291 winners featured in Boston Magazine’s annual Best of Boston issue. The Best of Boston features such categories as best restaurants & food, shopping, services, arts & entertainment and home design. Centrally located in the middle of historic Harvard Square, The COOP is not your typical college bookstore. Selling “all things Harvard” and more, the bookstore is a common destination for students, the local community and visitors to Cambridge, Massachusetts. With three floors of trade books, magazines, merchandise, textbooks, gifts and a café, the bookstore is in a league of its own. Plenty of bookstores host book signings, but for a truly illuminating author event, The Harvard COOP is a cut above the rest. Throughout the year, The COOP presents a fantastic lineup of well known and respected authors. This past spring, the store brought to town acclaimed New York Times best-selling authors Walter Isaacson, author of Steve Jobs, and novelist and screenwriter Nicholas Sparks. 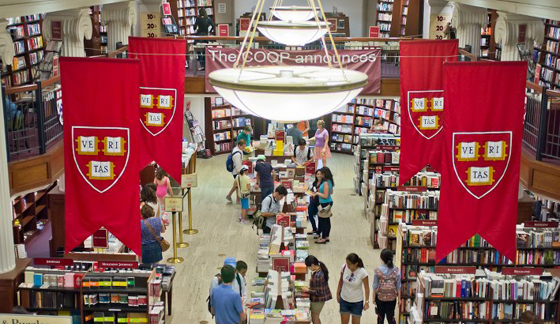 For future book signings and store events, visit The Harvard COOP Bookstore website.